Whether it’s an apartment community, a retail center, or a municipality, a well-maintained parking lot is a must. It offers added customer safety by serving to minimize the risk of accidental injuries. Choosing to repave an old parking lot that is riddled with cracks and potholes is a smart move. It eliminates an unsafe surface for pedestrians and drivers. As a result, it reduces your liability! Repaving your old parking lot also allows you to comply with government regulations, including the Americans with Disabilities Act. (ADA) This act has very specific paving requirements so that those with disabilities can maneuver safely. As an award-winning Virginia asphalt paving company, B & S Contracting thoroughly and expertly examines your current parking lot and its base before making recommendations. For a consultation, please give us a call! 540-886-8886. By its very nature, a commercial parking lot is exposed to extremes in weather, from broiling sun to torrential rains and snows. That’s why it must avoid pooling a large amount of water. Otherwise, it will wreak havoc on your blacktop. Further, water runoff must be properly managed and directed to areas that won’t flood streets, neighbors, or surrounding buildings. 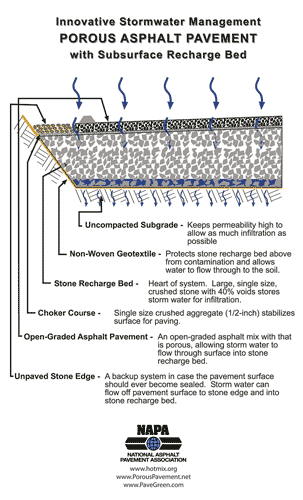 Porous asphalt, an excellent parking lot paving choice, is a sustainable paving solution and cost-effective for stormwater management. 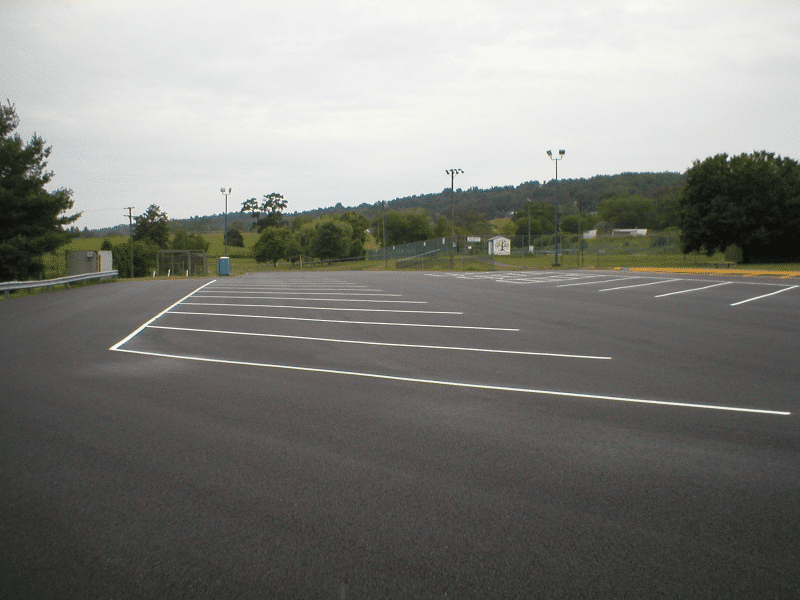 To get the most efficient performance and cost-effective use from your parking lot, get expert preparation from a reputable Virginia grading contractor. B & S Contracting, a recognized local asphalt paving leader. We are also a VDOT award-winning paving contractor and a Virginia Asphalt Association award winner. Put our extensive knowledge and experience to work for you.